Satisfying her abiding need to spend some quality “alone time” deep in wait-a-while country, Catherine Lawson sets her sights on WA’s legendary Gibb River Road. 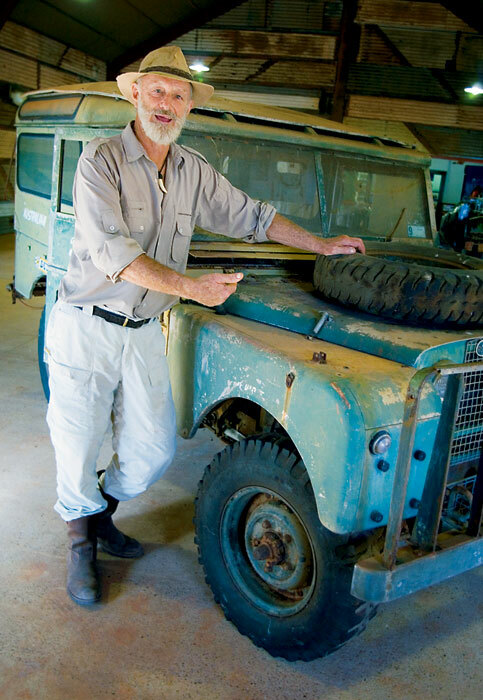 He’s talking about the Kimberley, a place he’s called home since arriving on a pearl lugger in 1971 while filming Follow the Sun, one of more than 60 documentaries this adventurer has fronted. “Broome back then was all scrub, sand and no bitumen,” he says. “A long way from anywhere.” And, for Douglas, that was precisely its allure. For anyone keen to get lonely for a while, the Kimberley remains a distant destination that has lost none of its adventurous appeal. Beyond Cable Beach’s silver-white sands and deep blue sea lies a rugged, red dirt road that cuts through the Kimberley’s vast savannah plains, gorges and ancient reefs. For 1150km from Broome to the Bungle Bungle Range in Purnululu National Park, self-sufficient 4WDrivers with a couple of lazy weeks can ride “The Gibb” through some of the finest scenery in the northwest. Once you’ve organised your wheels and stocked up on supplies, the hardest part is turning your back on that beautiful coastline. But sunset cocktails and that magnificent moon become a distant memory once you find yourself bathing beneath a waterfall at dusk. Constructed in the late 1800s as a stock route, the dusty Gibb River Road begins just beyond Derby and ends 660km later near Kununurra. While the depth of the Gibb’s rugged corrugations depend on how recently the grader has been through, it’s always a rough ride suitable only for off-road vehicles. Allow a couple of weeks and a few days grace for flooded rivers, road closures, tyre repairs and favourite spots (they don’t call the Kimberley “wait-a-while country” for nothing). 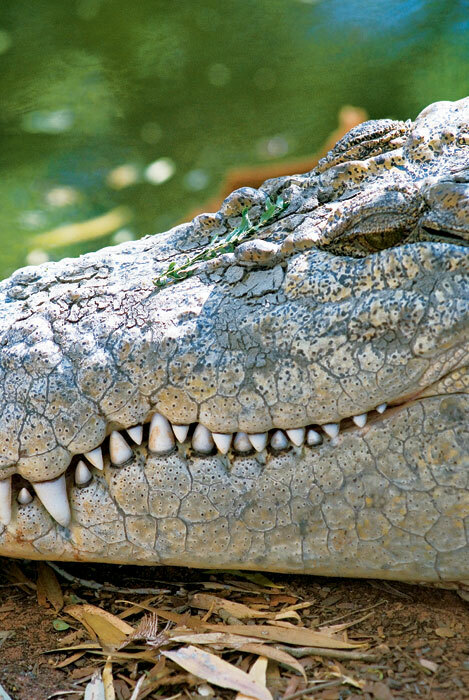 There are plenty of detours along the Gibb, and the first is the side trip to Windjana Gorge where docile freshwater crocodiles languish in the sun along the Lennard River. Patiently ignoring their many photographers, around 70 beasts provide a rare opportunity to get close to the Top End’s less aggressive croc species, tiny creatures compared to the 7m-long monsters that once lived around Windjana. There’s a 3km walk through the gorge to viewpoints over the savannah plains, but most visitors seem content to stroll to scenic Bandingan Rock (500m from the trailhead) to sit beneath fig trees full of noisy corellas and watch the freshies. Like every great destination, Windjana has an unusual “first”: in 1884, Aboriginal freedom fighter Jandamarra and members of the Bunuba tribe staged the first ever organised gun attack on white settlers – which kicked off a guerrilla war against police and pastoralists that lasted three years until this Ned Kelly of the north was shot dead outside his hideout in Tunnel Creek, 32km by road to the east. Tunnel Creek is WA’s oldest cave system and the big attraction here is the wet walk through 750m of rock pools, made thrilling by the darkness. As you enter, look for the Aboriginal rock paintings that adorn a high cave. Torch beams illuminate dripping stalactites and curtains of flowstones. In the clear, spring-fed pools you’ll see masses of cherubin (freshwater crayfish), fish, frogs and – in quieter times – freshwater crocs, too. With attractions like these so close to the bitumen, Tunnel Creek pulls a crowd. But getting back on the Gibb takes you to places the Wicked vans and backpacker wagons dare not go. Across the Lennard River, the Gibb ascends spinifex-covered ridges onto the King Leopold Range, elevating travellers above a stunning vista of pink quartzite escarpments and lush, green strips where pandanus and hardy livistona palms line the rivers flowing off the range. One of the few places in the Kimberley to have retained its European title, the range is named for King Leopold of Belgium, and a conservation park protects 392,000 hectares of river gorges and the Kimberley’s highest peaks – Mt Ord (947m) and Mt Broome (935m). The best place in the park to get wet is the swimming hole at Lennard River Gorge, partly because the two-kilometre hiking trail deters most people from discovering a spectacular chain of chilly plunge pools. Nestled between narrow rock walls and filled by cascades, these pools are the perfect antidote for the hot rock scramble to the water’s edge. 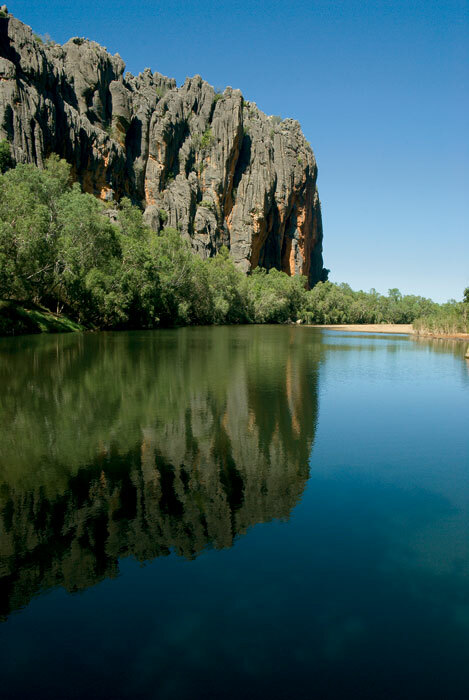 Lennard River Gorge also marks the start of a succession of deep, red-rock gorges carved into the west Kimberley ranges: Bell, Adcock, Galvans, Manning, Barnett River and more. Restless travellers claim to get “gorged out” pretty quickly here, while others linger longer to discover that uniqueness abounds. Still within the park, Bell Gorge is popular for the outback comforts it provides: drinking water (the most important resource in these parts), showers, flushing loos and firewood. A short (1km) trail ends at the upper pool of Bell Gorge where most are happy to bob about, but descending to the broad, deep pools beneath the falls provides solitude and better views. 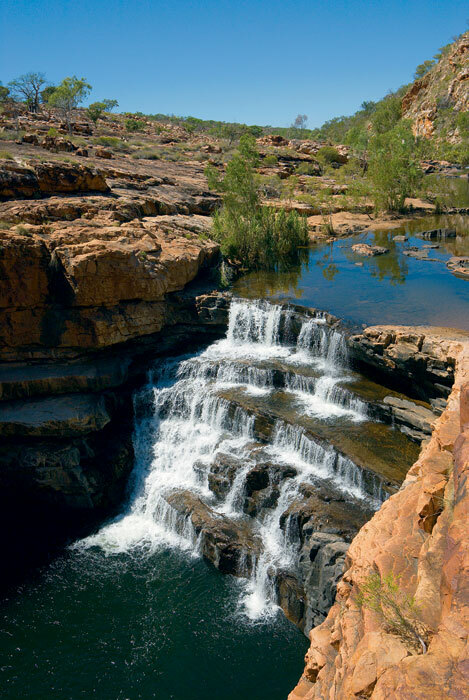 The Kimberley’s gorges are perfect places to endure the heat of the day, especially if you pack a picnic and commandeer a shady spot. But the entire region is full of highlights: El Questro Station’s cold beers, the nature tours at Old Mornington Camp and, finally, making it to Mt Barnett Roadhouse to get your tyres patched. All of these rate highly. But away from the “must-dos”, the deserted waterhole camps in between offer the chance to really experience the Kimberley: to catch a northern spotted quoll in a torch beam, come head to head with a big red along a trail, or wake to watch rainbow bee-eaters feeding on the water. The Gibb River Road ends all too quickly 53km west of Kununurra. 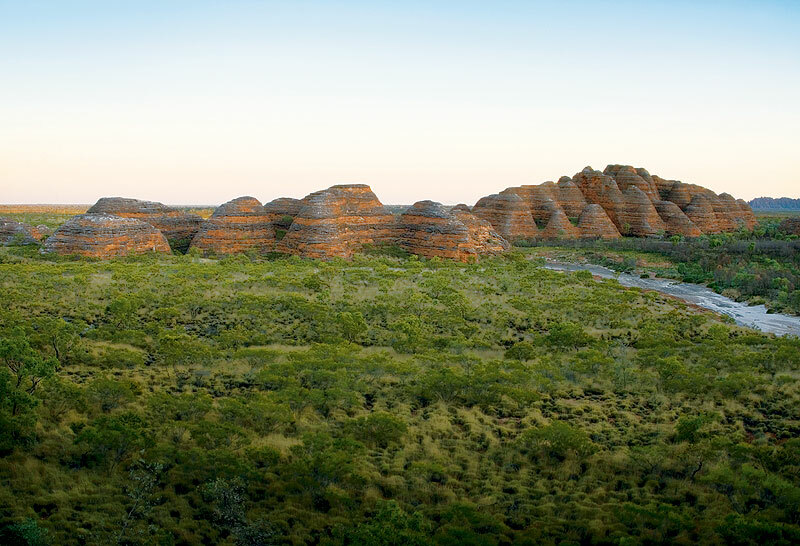 But delaying a return to civilisation is as easy as detouring south to the Bungle Bungle Range. The orange and black-banded “beehive” domes form a remarkable vista. The deep chasms in between lure walkers to cool, cavernous amphitheatres. After exploring one of six hikes on offer, campers can end the day watching the sun set over the Bungle Bungle Range, or, better still, ride a helicopter high above it. If the Bungle Bungles aren’t remote enough, experienced hikers can lug a backpack along the fluted bedrock channels into deserted Piccaninny Gorge, the park’s longest and most spectacular. 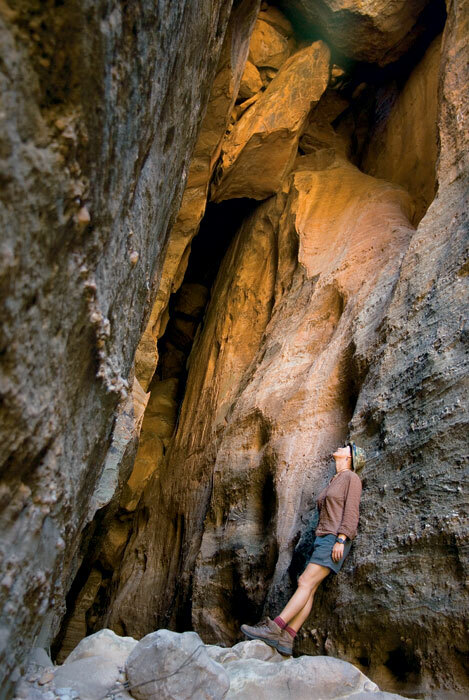 This wild, unmarked trail offers up to seven adventurous days exploring the “five fingers” – five exceptional sandstone chasms scoured deep into the range at the head of the gorge. 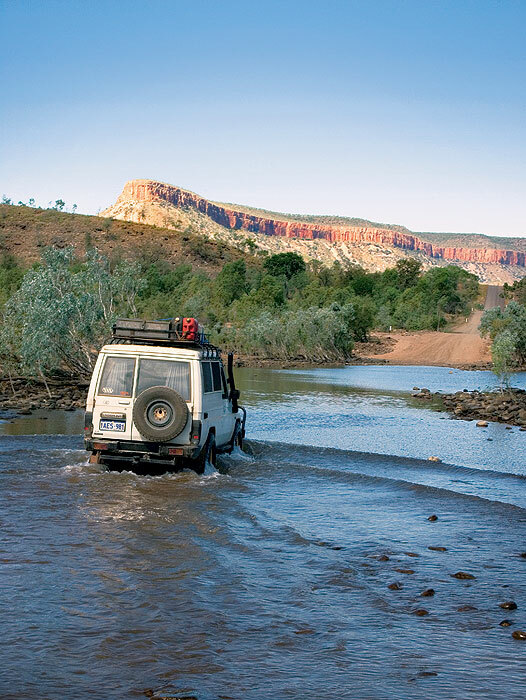 Remote, ravenously beautiful and utterly wild, the Kimberley region demands a good dose of determination. 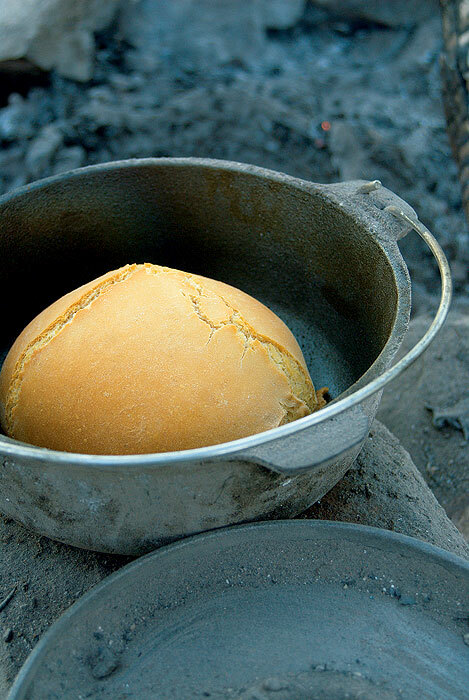 But, for outdoor types, it’s as far away as you can get without a passport. And once you’ve roughed it on the Gibb, you can return to enjoy the spoils of Broome with just a little more Kimberley cred. Getting There // Broome is 2250km north of Perth by road. The Gibb River Road begins north of Broome just outside Derby, taking you off the Great Northern Hwy for around 660km. The Bungle Bungle Ranges are 250km south of Kununurra. Drive time // To do and see everything, you really should allow 10-14 days. Best time to go // The Kimberley’s cool, dry season lasts from May to October. Don’t miss // Bell Gorge, Windjana Gorge and Tunnel Creek, El Questro Wilderness Park at the eastern extremity of the Gibb River Road, the swimming hole at Lennard River Gorge, and the outstanding examples of Aboriginal rock art throughout.